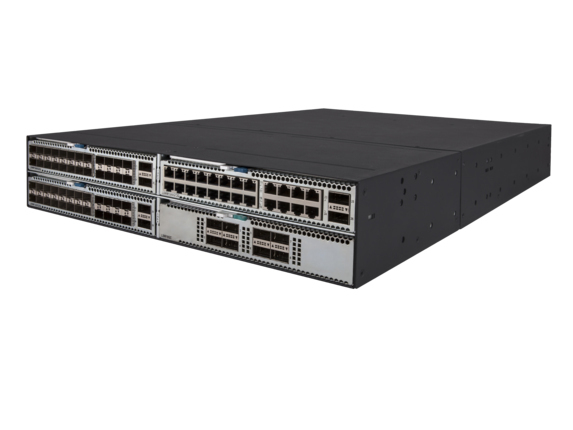 The HP FlexFabric 5930 Switch Series provides advanced features and high performance in a top-of-rack, data center switch architecture. Consisting of a 1U 32 port 40GbE QSFP+ Switch, a 2 Slot Modular version with 2 40GbE port and a 4 Slot Modular version, the 5930 brings high density to a small footprint. While 9 unit IRF reduces management complexities by up to 88%, it also delivers <50 msec convergence time. You can rely on the FlexFabric 5930 Switch Series to improve switch utilization and lower TCO, while delivering business resilience and high availability. 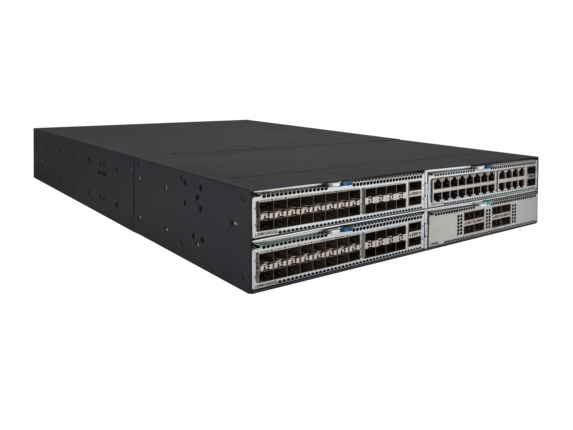 The HP FlexFabric 5930 Switch Series is available as a 1RU 32-port 40GbE QSFP+, 2RU 2-slot with 2 40GbE QSFP+ and 2RU 4-slot form factors. 40GbE ports may be split into four 10GbE ports each for a total of 96 10GbE ports with 8 40GbE Uplinks per switch. Modular port options include 10GbE SFP+, 10GBASE-T, converged ports supporting 1/10GbE and 4/8Gbps Fiber Channel and 40GbE QSFP+. 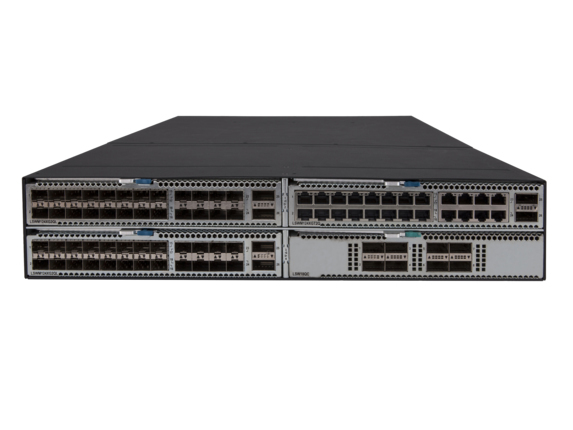 The HP FlexFabric 5930 Switch Series delivers up to 2.56 Tbps switching capacity for the most demanding applications. It supports up to 1492 MPPS throughput for data-intensive environments. Low latency, under a 1.5µs 10GbE latency, gives your business agility. VXLAN support for network virtualization and overlay solutions. The HP FlexFabric 5930 Switch Series delivers IRF <50 msec convergence time enabling faster application response time. 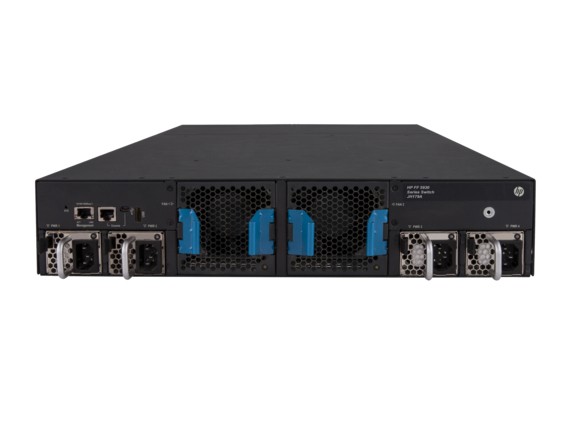 The HP FlexFabric 5930 Switch Series simplifies switch management by up to 88% with 9 unit Intelligent Resilient Framework (IRF).